Telltale's "The Walking Dead" game has been hitting it out of the park non-stop! Many of whom, also named it Game of the Year. 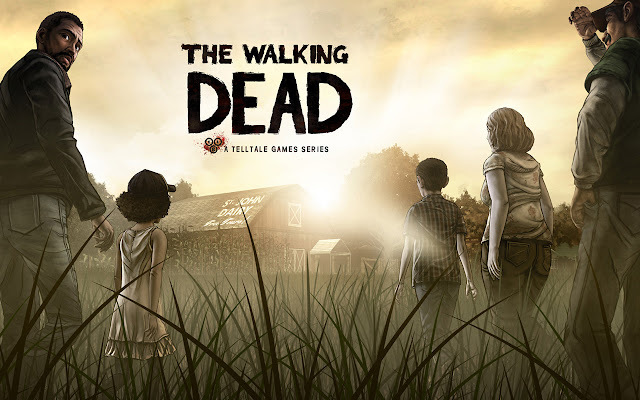 With over 40 Game of the Year awards and a topping multiple Best of 2012 lists, The Walking Dead: The Game from Telltale Games was a favorite over at XLBA Fans, who said, "It's amazing how one of this year's greatest games isn't one that made you feel happy or powerful, but weak, regretful and above all, sad. It's rare to find a game this powerful. This is an experience nobody should miss, which is why The Walking Dead is our Game of the Year"
Due to the massive success of the game, a second "season" has been confirmed. Details have not come out yet regarding release date or story details, but (spoilers) seeing how the ending left us with a cliffhanger of Clementine seeing two unidentifiable figures out in the distance, with her reaction being hard to read, it is total speculation what could happen.